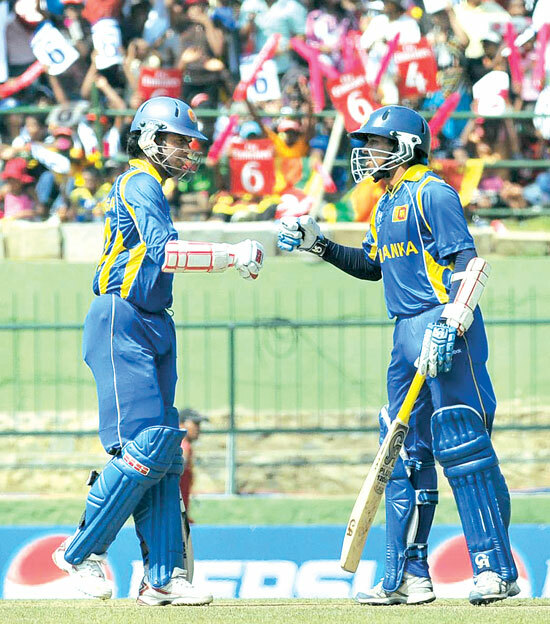 A record opening stand and a four wicket haul from Tillekeratne Dilshan carried Sri Lanka to an impressive 139 run victory over Zimbabwe in their ICC 2011 Cricket World Cup Group ‘A’ match worked off under lights at the Pallekele International Stadium in Kandy yesterday. S.Thomas’ fought back to make exchanges even after the opening day’s play of their 132nd Battle of the Blues three-day encounter begun at SSC grounds, Colombo here yesterday. Injured New Zealand captain Daniel Vettori said he is targeting a return against Sri Lanka in the Black Caps’ final World Cup group match on March 18 after seeing specialists Thursday.